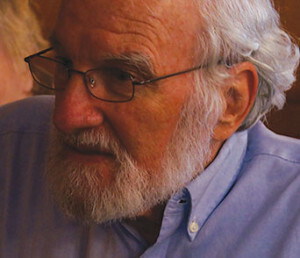 Walter Cummins has published more than 100 stories in such magazines as Kansas Quarterly, New Letters, Other Voices, Crosscurrents, Florida Review, South Carolina Review, Green Hills Literary Lantern, Virginia Quarterly Review, Bellevue Literary Review, Arabesques, and Confrontation, and on the Internet. His story collections are titled Witness, Where We Live, Local Music, The End of the Circle, The Lost Ones, and Habitat: Stories of Bent Realism. Early in his career, two novels, A Stranger to the Deed and Into Temptation, came out as paperback originals. He also has published memoirs, essays, articles, and reviews. His nonfiction books include The Literary Explorer, co-written with Thomas E. Kennedy: a study of the impact of TV on life in the U.S., Programming Our Lives: Television and American Identity, co-written with George Gordon: and a photo history of the estate that became the College at Florham campus, Florham: The Lives of an American Estate, co-written with Carol Bere and Samuel Convissor. With Thomas E. Kennedy, he is co-publisher of Serving House Books. His degrees are a MA in humanities, a MFA in creative writing, and a PhD in English from the University of Iowa. His literature teaching specialization has been modern and contemporary fiction and the British novel. He also has taught many interdisciplinary courses and graduate and undergraduate communication courses. He teaches fiction in the low-residency MFA Program.